The first thing about gambling that a gambler visiting Hawaii would like to know is the position of the state laws regarding poker, sports betting and such other gaming activities in the country. In places where gambling is illegal, many people end up facing prosecution because of either engaging in gambling activities or running enterprises that offer those services. And when it comes to the law, it is good to note that legality of gambling may be partial. Sometimes state laws may allow gambling in specific places like casinos while barring gambling activities in bars, clubs and such other smaller entertainment places. There are other times too when state laws permit gambling activities on land – brick and mortar casinos and so on – but not online. That is why some countries deem poker to be legal but on a closer look at the poker law one finds that online poker is illegal. Other times the state poker law allows citizens to participate only on sites hosted within the home country. There are even those state laws that prohibit foreign poker players and other foreign gamblers from playing on local sites. When it comes to the legality of gambling in the state of Hawaii, the law is explicit as far as gambling within ships is concerned – it is outright illegal. Gambling is also banned along the Hawaii coastline. 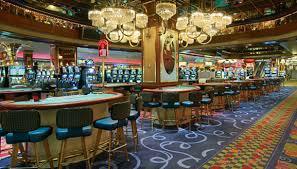 One thing that travelers should have in mind is that in venues where the state laws expressly ban gambling, it is illegal too to be in possession of items and facilities that can abet gambling activities. This implies that the authorities would find fault in someone carrying a slot machine and such other gaming devices on ships destined to dock in Hawaii. Other things that can lead authorities to picking you for questioning in relation to gambling offenses, even poker related offenses, include being in possession of gambling records; engaging in bookmarking; and generally promoting gambling in one form or another. On the overall, Hawaii is not the place for a professional gambler. Playing poker or any other betting game is banned from public places and people only engage in such games at a social level. It is important to keep in mind that hotels, motels, bars as well as nightclubs are public places where gambling cannot take place. Hawaii does not run a state lottery and its state laws do not endorse the running of a lottery by private persons. In short, any person caught in possession of lottery tickets would have to answer to the law. This has been a little tricky for residents of Hawaii who live along the borders where lotteries are run in the neighboring countries. Gambling is taken as a serious offense in Hawaii; in fact, a criminal offense. However, the citizens cannot claim ignorance of the law as the state laws are clear and the authorities are diligent on maintaining them. It is not surprising to see an offender jailed for gambling related offenses in Hawaii. Still, it does not necessarily mean that one faces jail time for playing online poker or engaging in a betting game on a ship. Gambling offenses in the country are categorized in levels of seriousness and proportionate fines and other consequences meted. As the state laws stand today, nobody is really certain if playing online poker in Hawaii constitutes a breach of the law or not. That means poker enthusiasts do engage in their preferred pastime and often play for real money. After all, they can choose to avoid playing poker on sites hosted locally and still play on sites that are hosted in other states where online poker is legal. Poker is a way of life for a good number of people worldwide, and for many, it is actually their only livelihood. However, even with the knowledge that people do go professional with poker, a number of governments still hesitate to legalize it. Granted poker is not a profession that calls for a great education like medicine, teaching, engineering and such, but still, it offers an opportunity for people to earn a living. Unfortunately for poker lovers, the betting game that is poker is still viewed in many countries as a pre-occupation that lacks respectability. The fact that there is sometimes a history of people who fell from riches to poverty through gambling makes many people and governments weary of poker and related betting games. Playing the game of poker in Mexico has been the order of the day for Mexicans and visitors as well. Poker lovers enjoy visiting the many casinos in the country because there is no harassment from the authorities and there is also no discrimination within the gaming fraternity. Other poker lovers opt to play online poker from the comfort of their homes. In fact, people in Mexico hardly made poker law an issue for discussion because the atmosphere has always been welcoming for gamblers even those interested in online poker or any other form of online gambling. Even some known names in the field of poker, like Bryce Daifuku, have always found Mexico a better place to hone their skills than their home countries. Daifuku is American. Recently, however, there has been talk about the state online poker law in Mexico changing. In fact, there is a draft underway and just awaiting debate and legal procedures. 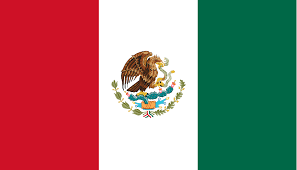 One of the aspects that are up for debate is whether to confine online gambling within Mexico to Mexicans only or to continue accommodating citizens of other countries on the online gambling sites. If the state poker law locks out foreigners from online poker sites hosted in Mexico, it will be putting Mexico in the category of countries like Spain and France. These two countries have legally locked out foreigners from home-based online gambling sites. For the period since that ban became effective, the exchequer has felt the pinch as revenues from foreign based gamblers whose income was being taxed have disappeared. It is not clear what impact the new state online poker law will have on Mexico’s economy, but the rate of taxation will definitely be a factor. Possibly Mexico just needs to consider its unique position without necessarily copying the poker law in either France or Spain because any negative impact would be felt more seriously in Mexico because of its massive population. The population of France and Spain combined is still less than that of Mexico. Those two countries have a population of 66 million and 46 million respectively, while Mexico’s population is 122 million. While some foreigners come and take up residency in Mexico purposely to enjoy the great gaming environment, others stick around because of the friendly weather; the friendly gambling atmosphere being just the icing on the cake for them. Some of the Mexican casinos buzzing with activity include Caliente, Emotion, PlayCity and Yak Casino in Acapulco; M Casino in Agua Prieta; Casino Life, Dubai Palace and others in Benito Juarez; PlayWin in Cabo San Lucas; Crown Casino, Casino Fortune and others in Chihuahua; Caliente Casino in Los Cabos; Big Bola-Santa Fe and Caliente Casino-Interlomas Plaza Magnocentral in Mexico City; and very many others. Suffice it to say, casinos in Mexico are in their hundreds and as it is today, no poker law has been passed to restrict any person from playing either in these casinos or on online gambling sites. The Netherlands is one country where the government is tolerant in many issues including matters of religion. And of late, the liberal political leaders seem to be gaining even more popularity. It cannot, therefore, surprise anyone to know that playing poker for money in the country is legal. In fact, the country boasts of around 14 casinos so far and poker players are looking forward to more of them opening. However, considering how liberal the Netherlands generally is, 14 casinos cannot be considered a big number. Poker fans would be happier with more of them. The reason gambling venues are not as many as poker enthusiasts would like is that the country has licensed only one entity to run gambling activities in the whole of Netherlands. The entity holding this monopoly is the Holland Casino. It is unfortunate for poker lovers in the Netherlands because whoever has no access to the few casinos run by Holland Casino has no chance of enjoying online poker or any other form of online gambling. If the country were to have sites to host online poker, those sites would have to be run by Holland Casino since it is the one licensed to run non-sports betting activities. Private investors who have tried over time to host online gambling sites in the Netherlands have had to bear the consequences in form of massive fines. Betting enthusiasts in the country hope that one day soon the government is going to rethink the current state laws that prescribe a monopoly and pass state laws that accommodate other service providers besides the Holland Casino. In the meantime, they can only hope that Holland Casino will be more liberal and open online sites to offer online gambling. Even when it comes to sports betting, only one company has been licensed to run it and that is De Lotto. The only sport whose betting De Lotto does not handle is horse racing. Surprisingly, people in the Netherlands are allowed to place bets on sports online, even when online poker itself is prohibited. As a member of the European Union (EU), it is becoming increasingly uncomfortable for the Netherlands to hold onto its restricting gambling laws when many of the other EU members have friendly state laws on online gambling. And with the freedom of movement that began with the establishment of the EU, citizens of other member countries expect to enjoy the same opportunities that the Dutch enjoy when they visit those countries. Obviously, those opportunities include the opportunity to play online poker legally and better opportunities to access brick and mortar casinos. With the advancement of technology and governments not being able to keep up with comprehensive regulatory measures, poker players and gamblers in countries where online gambling is illegal look for loopholes and still access online sites that offer online gambling. Some of those sites are often hosted outside the country with restrictions. Many countries that were quick to legalize online poker and other online gambling activities saw an opportunity to net revenues for the government through taxation. That is exactly what the Netherlands is missing out on. Already, over half a million enthusiastic Dutch players have found a way of partaking in online gambling. Unfortunately, the government is not benefiting from those gambling activities as tax can only be levied on legal activities. Hopefully, the government will begin to appreciate that online gambling is not about to go away and that it is better to make it legal and get an opportunity to regulate its operations and benefit from tax revenues. Casino games are the rave among gamblers these days. These games come in a variety of themes making game play even more exciting. Online gamblers are getting addicted to it. Couple this with the fact that numerous companies are trying to make it to the front line means offers are going to be literally thrown at you. These offers range from deposit bonuses to playing bonuses and what not. A new person will usually opt for the first offer coming their way. Sugar coated offers giving 100% deposit bonuses and free plays sound quite tempting, no doubt. However there is a certain way to go about with casino games, with extra care necessary if one isn’t that experienced yet in the cosmos of online gambling. Before explaining why caution is recommended, read on about the most commonly offered bonuses and their advantages below. In the online gambling world bonuses are something that never fails to catch the attention of online gamblers. Basically these are given to attract new players to a casino. When for the very first time an inexperienced online gambler enters a particular online casino, the first notification, gets prompted is of the sign up bonus which is enough to catch the attention of an online gambler. The upside is that they mean free game playable money in exchange for nothing. One can try out the online gambling at no cost whatsoever. No risk means zero downsides; you can play and see what you like without breaking bank. These are the main bonuses which really determine how much you’re making and using through the extra money. A pro will always be using more of bonuses and less of his/her actual deposited money. Casinos offer bonuses on every deposit made. The system is progressive with the more money deposited, the more the bonus multiplier. But there are certain things to consider. The usage of the money earned on bonuses is governed by certain laws of that casino. Make sure to check out the fine print. You are depositing to get that bonus so you can play your favorite games. Make sure your favorite game(s) fall in the category where deposit bonuses apply because if you don’t go deeper then maybe you regret later on. These bonuses allow you, at some days and/or time periods, to play using free money. How so? Usually casinos calculate low traffic days and offer the bonuses at those times to keep their business running. The bonuses offered nowadays by online gambling casinos are endless. You will see dozens of online casinos, providing gamblers amazing bonuses. Online gamblers often get caught in their web because they just see the shallow part, if they go deeper then they’ll get to know the main point behind it. Think wisely and don’t go for the flashy name of the bonus. Check out the requirements, the payout time, the multiplier, and the minimum deposit requirements. All of this might seem a lot at first, but with experience you’ll find yourself picking out the best bonuses with your eyes closed. Right! Not every site is compatible with your Iphone or Ipad. When it come to compatibility not very online gambling site works for you. Though you face the compatibility issue but it isn’t justified to curse your phone for that. Even now poker sites are taking this fact into count and working on building such poker apps which are compatible to all operating systems. There must be a lot of questions bouncing in your head likewise “Whether I can play poker on my Iphone or Ipad? Can I really play real money poker? The answer to your every question is yes! Scotland casino is the best and oldest casino. It is well-known for providing upbeat service to the gamblers. With an amazing mobile section you can play real money games, now you don’t need to worry all you need to do is to enter into this casino and play real money games via Iphone or Ipad. Scotland casino has been satisfying players from years and still making people happier from their service. The worth of this casino is really high insight of its previous customers because of the unparalleled service they get from here. If you really wish to experience online slots then it is a place to full-fill this wish. You will have here the most amazing online slots with Massive jackpots. They have the approach that the games they offer should be available worldwide. That’s why their games are quite compatible with all the available formats. People are often concerned about the privacy issues, with Scotland Casino you don’t need to worry about it. Be assured that you are in safe hands. Moreover if you get stuck somewhere then their customer care service team is ready to provide you with assistance, 24X7. 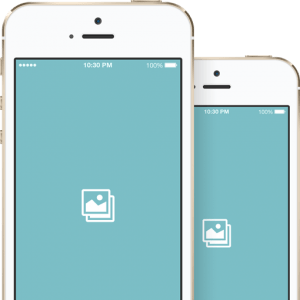 Extremely amazing thing about it is that all the bonuses can be easily redeemed from your Iphone or Ipad. When you get in, the first bonus you will receive is of $1,000 in the form of their welcome offer, there is so much to it which you will get to know with the passing days likewise the cash bonuses, their monthly mystery reloads, free chips and so on. Because of massive bonuses, first-rate VIP program and frequent promotions Drake Casino has diverted the eye-balls of gamblers. It is not less than a treat to online gamblers that drake casino offers over 160 different games to choose from. Iphone or Ipad users now you can play your favorite games here no need to curse the operating system now. Drake Casino has made it easy for the users! Drake Casino has an incredible, user-friendly gaming interface with easy casino software due to which players get a really smooth and unforgettable gaming experience. Drake Casino knows the art of grabbing gamblers attention, they provide huge welcome bonus which players find really interesting. If at any level you find difficulty while playing at this casino, you can easily contact their customer service team which provides you best of their guidance 24X7. Their customer care service team is available via live chat, email and phone.